We are using Handwriting Without Tears for teaching handwriting. We teach letter formation using the strokes below. All letters in this program are formed using a combination of big lines, little lines, big curves, and little curves. The numbers and arrows indicate the order of the strokes and the direction of each stroke. The guide below may be useful if you are trying to help your child at home. 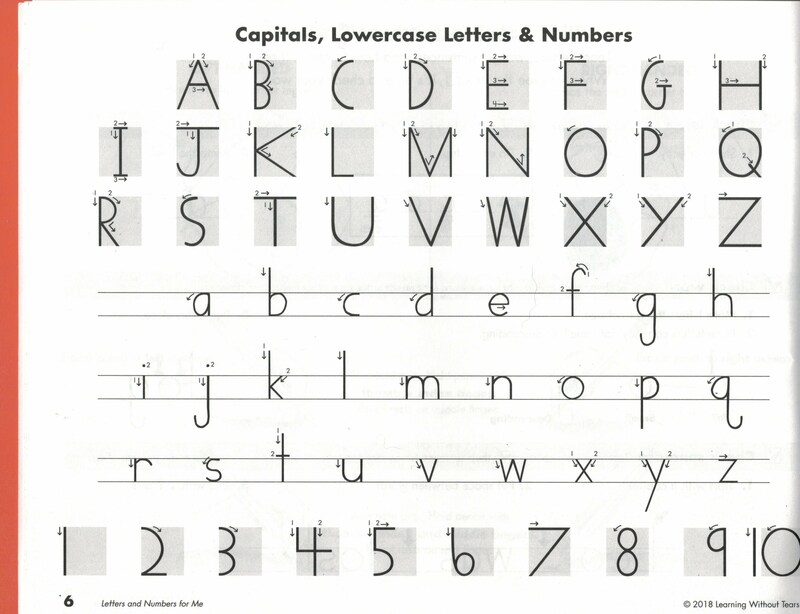 We teach our students to write their names with the first letter capitalized and the rest lowercase.